Hello Dramatics! It’s your favorite Drama Queen back once again with a list of Asian movies to watch for the month of December 2017. This list is very special because the movies on this list are the ones Dramatics recommended that I watch. Dramatics from all over the world participated in this poll via Twitter recently. With that being said, some of these titles have been out for some time and others have been released in 2017. What I like about this list is that it is very diverse with movie recommendations from South Korea, Japan, and China to name a few. 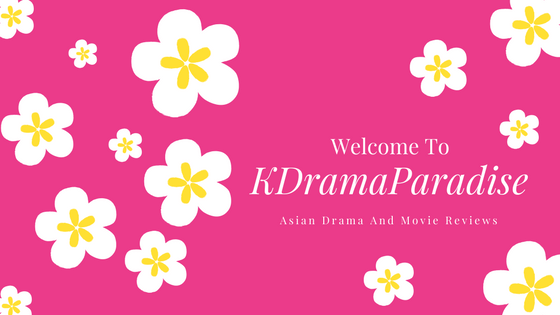 I would like to thank the readers of KDramaParadise for their recommendations. Without further adieu, here are your recommendations for Asian Movies To Watch in 2017! Synopsis: Two police academy students who only have their majors and books to trust, witness a kidnapping and try it down. The two police cadets try to save the young woman’s life before it’s too late. Synopsis: This romantic comedy is about the relationship between Zhang Xiao and Xia Xil Ling. The shortest taekwondo master female Xia Xil Ling, and the tall and very handsome basketball player, Zhang Xiao. Whenever they meet they always fight but end up falling in love with each other. Synopsis: Fifteen-year-old country girl Suzume Yosano has to move to Tokyo to live with her uncle due to her father’s transfer. She bumps into a mysterious man who ends up taking her to her uncle’s place after she gets lost. Suzume will be seeing him a lot more often once she starts school because the mysterious man happens to be her homeroom teacher. Synopsis: Gouda Takeo is a big guy with a big heart. Unfortunately, the girls are not interested in him and only want his good looking best friend, Sunakawa. Accepting the fact, Takeo is content wit his single life. One day, after saving a girl named Yamato from being harassed, he unexpectedly turns his life around. Synopsis: About a young guy who discovers a message on an old pager and is transported twenty years back in time to 1995. altering the events in which his parents met and fell in love. Have you seen any of these movies? What did you like about them? Are there any other movies you would recommend? Leave a comment down below and lets discuss! Remember To Keep Calm And Drama On! Happy Drama Watching! This entry was posted in Movie Review and tagged Achita Paramoj Na Ayudhya, AsianMovies, BackToThe90s, China, DayTime Shooting Star, Godfrey Gao, Japanese, Kang Ha Neul, KDramaParadise, Mei Nagano, MIdnightRunners, Min&Max, Movie, Movies, My Love Story, Park Seo Joon, Pimchanok Leuwisetpailboon, Ryohei Suzuki, Shoehi Miura, South Korea, Thailand, Wang Shuilin. Bookmark the permalink.